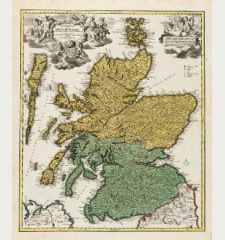 Old coloured map of Scotland. 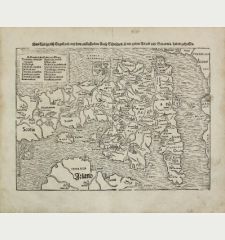 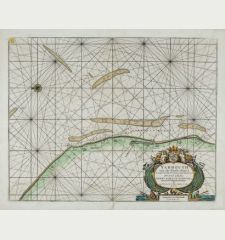 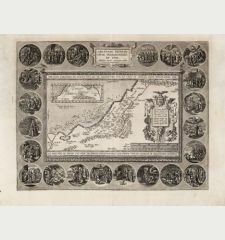 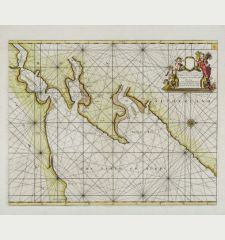 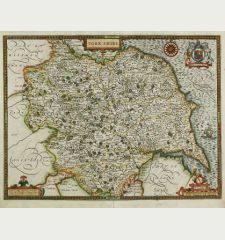 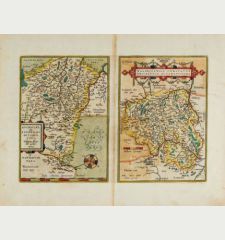 Printed in Antwerp in the year 1602. 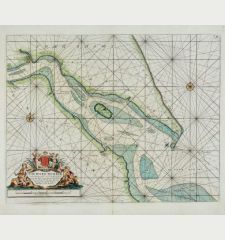 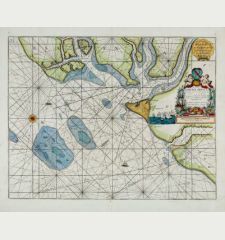 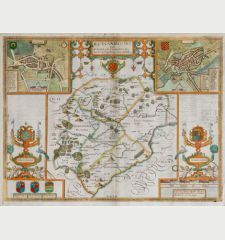 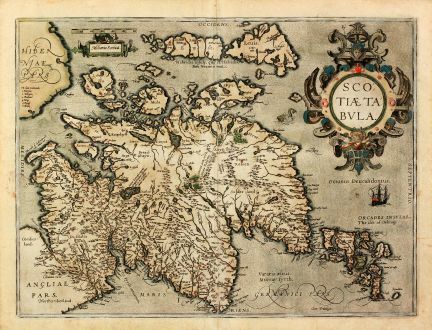 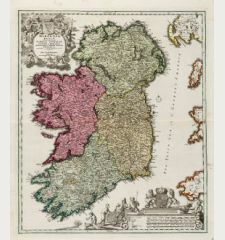 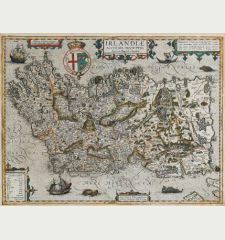 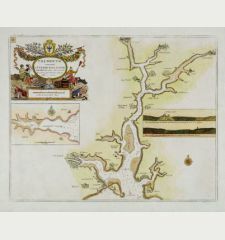 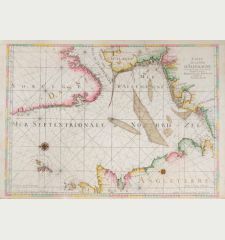 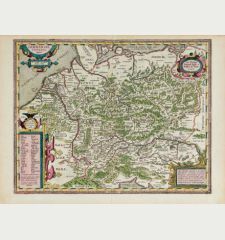 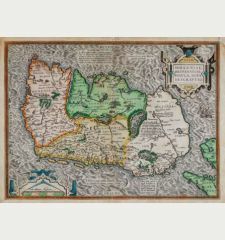 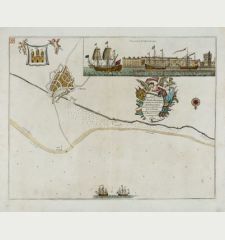 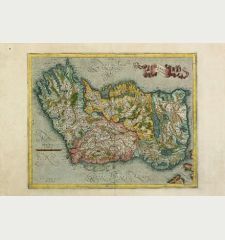 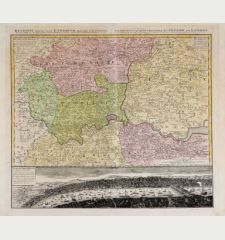 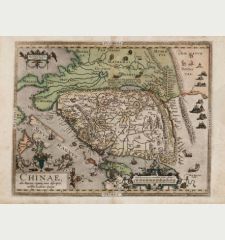 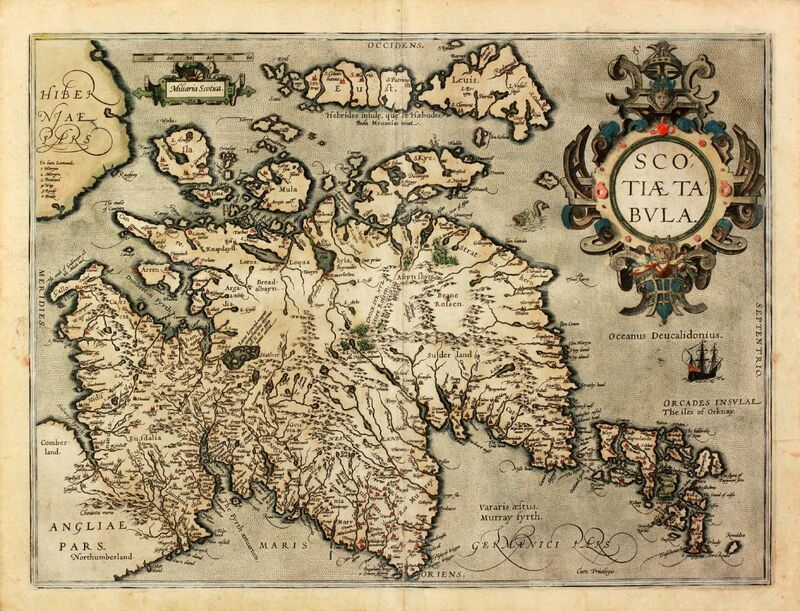 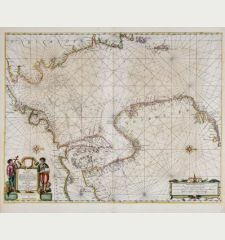 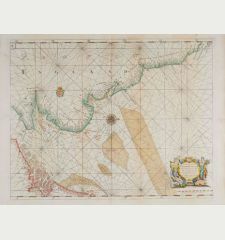 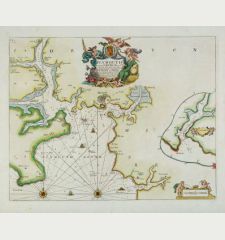 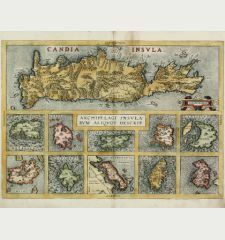 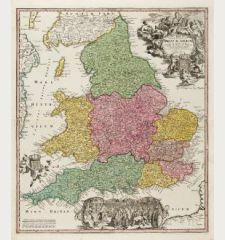 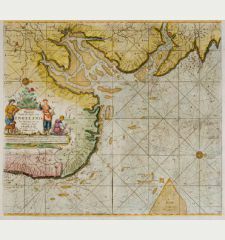 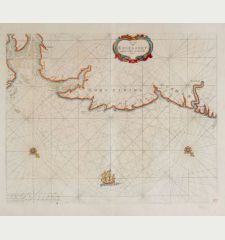 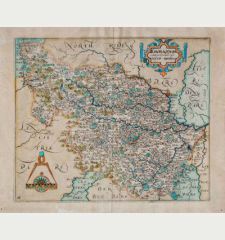 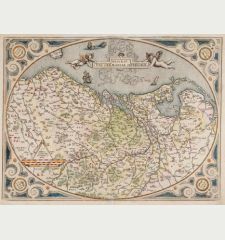 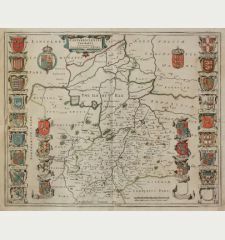 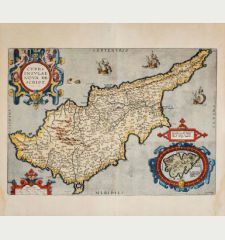 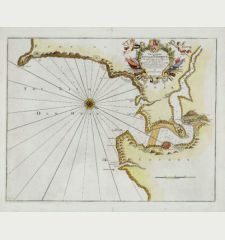 Original old coloured map of Scotland by A. Ortelius. 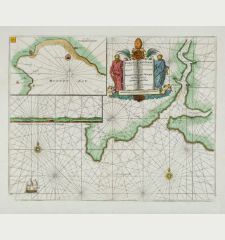 With one large cartouche, one sailing ship and a sea monster. 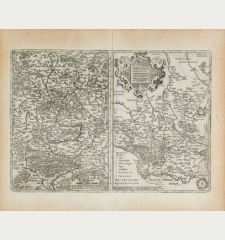 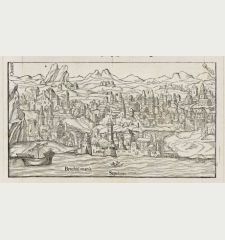 From the 1602 German edition of "Theatrum Orbis Terrarum". 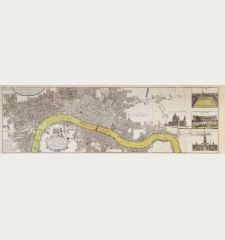 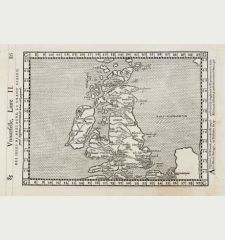 Based on Mercator's 1564 wall map of the British Isles in 8 sheets (Meurer p. 197). 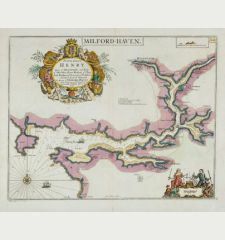 Centrefold backed, slightly age-toning, a good copy in original old colours.